Teak Furniture Outlet offers the Grade A Teak Adirondack Chair that is one of the most popular and traditional teak furniture items worldwide! The teak ottoman pictured is INCLUDED. Why not add a teak side table for that something extra to hold your food and drink? 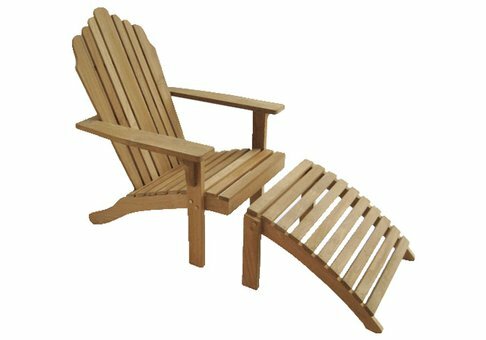 Our Adirondack chair is constructed using machine-made mortise and tenon joints, which assures maximum durability. All of our teak joints, bevel edges and round edges are manufactured to specifications that allow for perfect symmetry. We use only the highest quality outdoor glue to assure that these products will remain intact for many years to come. In our production process, no uneven legs are permitted! You will not feel any movement in the chairs when you sit down.